“Dense forest, with tall trees creating huge canopies as they competed for sunlight, used to come down right to the village backyard. As kids we were cautioned not to wander alone into the hills. There were too many unknowns in the untamed forest. However, one thing was certain. The trees, vines and shrubs had to give way to gardens. And people always chose the best land areas for garden plots. The forest was cleared and the produce harvested by mothers and daughters was always plentiful and colourful. Nature never failed to provide sustenance to our community on Pokpok Island. Slash-and-burn gardening continues today, although there is some reprieve with the coming of consumer goods and processed edibles now readily available in village tucker shops and trade stores. It’s a small island, so human impact on it is quite obvious. The land and surrounding waters bear the burden of an increase in population. Much of the island is rocky and rugged. Arable land is very limited. Where today there is secondary forest, starting from the beaches and village backyards, there was once primary forest. During storms, especially when it was windy, you could hear the whole forest howling, sounding like a thundering underground train preparing to come to a stop at the platform. After continuous heavy tropical downpours the sound of the flowing creeks in the forest and bushes was more like a jet aircraft pulling up to park at the bay to disembark its passengers – a hissing noise throttling in between. A little away from the main village, the possums used to come down along the tree tops to the trees by the beach. Birds’ nests were everywhere, some from birds we don’t see anymore. Among the trees and shrubs were wild berries and fruits for the picking, although most were not picked, but left to provide natural decor to the bushes because garden food and fish from the sea was always plentiful. The forest provided more than enough for possums, flying foxes, fruit bats and other nimbling creatures. The reef you see in this photograph used to be fully laden with colourful coral all the way along its edge. Starfish, schools of different fish, weed and sea grass meadows and varieties of edible sea urchins shared their natural habitat with the children of the village. What is now largely white sand under water was mostly covered with long sea grass where squid laid their eggs. Parents would tell us to look out for the squid eggs and avoid them. Much of the tall grass is gone and squids don’t spawn around here anymore. In fact, the whole reef area, which makes the whole village seafront beautiful, was larger, richer and prettier than it is today. Around the reef perimeter was coral of every kind, fully alive and breeding. The sea anemone with its clown fish tenants were plentiful. Other colourful small marine creatures contributed to an underwater aquarium of teeming small colourful fish complementing the living beauty of coral. As kids we grew up swimming and canoeing around here. Today it is no different. It still is a playground for every child who lives here. It is always hard to get children out of the waters, even after sunset. The noticeable difference to our generation is the whole reef area has shrunk. The best parts of the live coral all around the village, which naturally extended the reef out under water, are almost gone. Washed away. Bleached. Dead. Disappeared. Even the crown of thorns and a whole array of star fish that were part of the reef aren’t here anymore. Fish are still around, but not in the numbers, colours and varieties we used to see and enjoy. At its best this area acted much like mum’s garden in the hills. It provided fish, shells, clams, seaweed and varieties of sea urchins. The unique smell of the sea flavoured the village. It was a constant reminder that you lived by the sea. The ground level photos and the pictures from the air are stunning. There is no doubt about that. They are some of the best sea scenery photos you can get. But much of the real, live natural beauty underwater is gone. We often recognise our own reckless and perilous ways when it is too late to save what we have lost. The village is still a beautiful and serene habitat. But it was even better, as people of my generation remember. Some things can be restored and nature is, as we know, capable of replenishing itself. Given space and left alone to regenerate, forests and even reefs can revive. But they will only get the opportunity to do so if we humans acknowledge and change the things we do that are hurting our own Mother – the source of our life – the Earth. 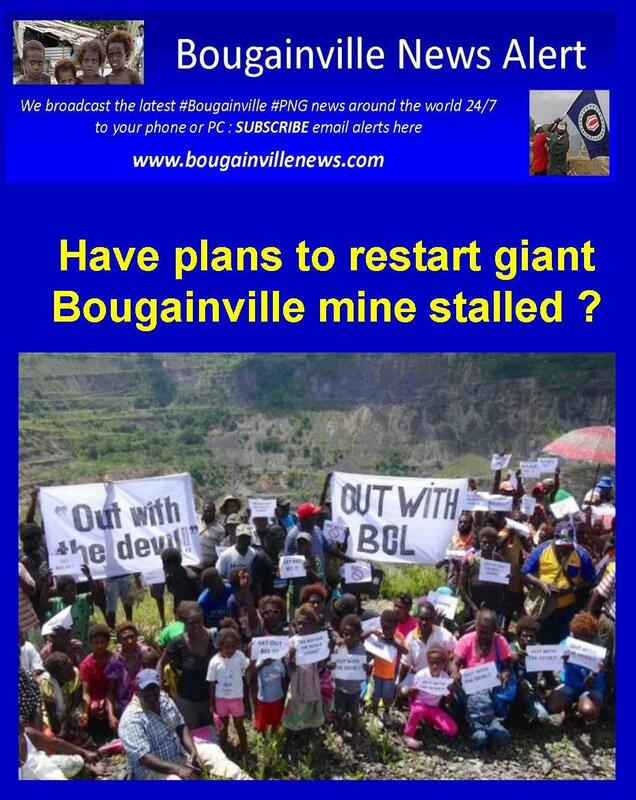 Bougainville Mining News : Have plans to restart the giant Bougainville mine stalled ? SYDNEY, October 6 (Reuters) – Plans to reopen one of the world’s biggest copper mines, shut by a civil war on the Pacific Island of Bougainville in 1989, have run into trouble. The quarter of a million people of Bougainville are tentatively scheduled to vote on independence from Papua New Guinea in June 2019, and revenue from the reopening of the Panguna mine is essential for the otherwise impoverished island to have any chance of flourishing if it becomes the world’s newest nation. But there is now a struggle over who will run the mine between Bougainville Copper Ltd – the previous operator now backed by the Autonomous Bougainville Government and the Papua New Guinea government – and a consortium of Australian investors supported by the head of the landowners who own the mineral rights. The dispute is opening old wounds – and is almost certainly going to delay any reopening. That could help to drive copper prices higher as many forecasters expect that demand for the base metal will exceed supply in the next few years. The battle lines have been hardening on several fronts, Reuters has learned. Papua New Guinea has told airlines that Sydney businessman Ian de Renzie Duncan, who set up the consortium, is banned from entering the country until 2024, according to a Papua New Guinea government document reviewed by Reuters. The request for the ban was made by the Bougainville government, three sources with knowledge of the document said. The consortium has also acknowledged for the first time that it is paying some landowners a monthly stipend and has pulled in some big backers that have not previously been disclosed. They include Richard Hains, part of a billionaire Australian race-horse owning family which runs hedge fund Portland House Group. 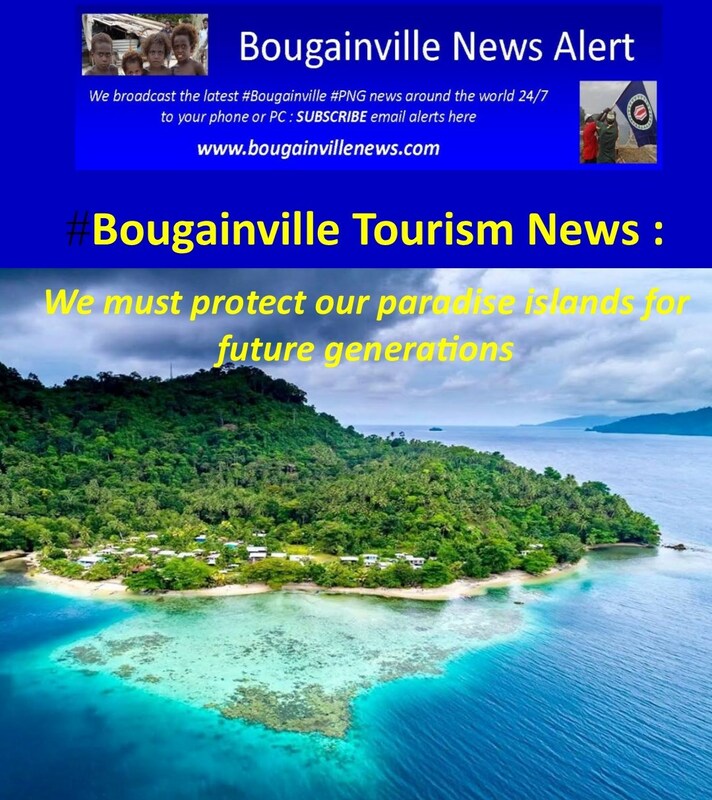 In a sign of how ugly the row is getting on the ground, local opponents of BCL becoming the operator – and some who are opposed to the mine reopening altogether – blocked Bougainville government officials from entering Panguna in June. They had hoped to get key landowners to sign a memorandum of agreement that would have endorsed BCL as preferred developer, according to a copy of the document reviewed by Reuters. The proposed agreement also stipulated the mine would be re-opened by June 2019, ahead of BCL’s own timeframe of 2025-26. The Papua New Guinea government didn’t respond to requests for comment for this story. Bougainville’s main political leaders say getting the mine reopened is critical. “If the independence of the people is to be sustained then we need Panguna to run,” Bougainville Vice President and Mining Minister Raymond Masono told Reuters in a phone interview. He said he believes BCL has first right of refusal to operate the mine under laws passed three years ago, and only if BCL declined to take up that right should an open tender take place. The civil war was largely about how the profits from the mine should be shared, and about the environmental damage it had caused. There was deep resentment among the indigenous Bougainville people about the amount of the wealth that was going to Papua New Guinea and to the mine’s then operator, Conzinc Riotinto of Australia Ltd, a forerunner of Rio Tinto. The mine was forced to shut after a campaign of sabotage by the rebel Bougainville Revolutionary Army. The conflict between Bougainville’s rebel guerrilla army and Papua New Guinea forces left as many as 20,000 dead over the following decade, making it the biggest in the region known as Oceania since the Second World War. Rio Tinto divested its stake in BCL in 2016, and the listed company is now just over one-third owned by the Bougainville government and one-third owned by Papua New Guinea. Papua New Guinea Prime Minister Peter O‘Neill said last year his government would gift the shares received from Rio, or 17.4 percent, to the people of Bougainville, although that is yet to take place. The challenge from the Australian consortium that now includes listed gold and copper explorer RTG Mining was made public in June. Duncan and his fellow investors have joined forces with a group of Panguna landowners, the Special Mining Lease Osikaiyang Landowner Association (SMLOLA) led by Philip Miriori. Miriori was in the Bougainville Revolutionary Army as the private secretary to the late Francis Ona, the former BCL mine surveyor who became leader of the resistance. Ona had declared that BCL should “never again” be allowed to run the mine and Miriori, Ona’s brother-in-law, still supports that stance. “They have caused a lot of damage, they don’t have the money and they are not telling the truth and so I wouldn’t accept them,” Miriori said in a telephone interview from the Bougainville town of Arawa. Duncan, a former barrister with a background in mining law, heads an entity called Central Exploration that has a half share of the consortium. Duncan’s consortium has been paying money, described as a stipend, to some of the landowners, but denies this amounts to bribery. “We are really talking about people receiving a couple of thousand kina ($608) a month,” said Duncan, who added that the money helps the landowners to travel and find accommodation in towns where Panguna negotiations take place. “It’s not bribery, it’s business,” he said. BCL claims to have the support of eight other landowner groups in Bougainville with an interest in the project. They have land rights covering access roads and the port site, among other areas, though crucially not the mine site itself. BCL chairman Robert Burns, who formerly worked for Rio Tinto, said Bougainvilleans were the ones being impacted by Duncan’s attempt to gain control of the mine. “Everyone is being frustrated and impeded by this issue,” Burns told Reuters in a phone interview from the PNG capital, Port Moresby. The uncertainty is going to make it difficult for either group to raise the capital that will be needed to get the mine restarted. In 2012, BCL estimated the cost of re-opening at $5 billion. With few of its own assets, the company would need to secure the mining rights before tapping capital markets. The Australian consortium may be in a stronger position, according to Hains, who is a 15 percent owner of RTG. He said the consortium has strong access to the North American capital markets and could re-develop Panguna in a “highly timely fashion”. As it stands, BCL has no mine without the support of the owners of the minerals, and Duncan’s group has no project without road and port rights as well as government support.